The Weather Channel (TWC), based in Atlanta GA, was founded in 1982 by Frank Batten, former chairman of Landmark Communications, and John Coleman, a TV meteorologist who had provided weather reports on Good Morning America in the 1970s. The program pitch was a hard sell; The Weather Channel lost money for years while the distribution grew slowly. But after Landmark’s then-CEO, John Wynne, realized that viewers persisted with news programming best when the weather was placed at the end of the broadcast, the cable network hit its stride. It currently generates in the area of $350 million yearly. Valued at $3.5 billion in 2008, the network was purchased by NBC and several private equity firms, including Blackstone Group, shortly before founder Frank Batten died. Currently, Chairman and CEO David Kenny heads the company. In 2012, The Weather Channel’s parent company changed its name to The Weather Company, better reflecting its increasingly diverse business strategy. Currently, the company is highly focused on developing internet-based technology. In recent years, upstart weather apps have challenged TWC in the digital space with innovative technology for real-time weather broadcasting, competing in accurate, real-time weather “now-casting” for two billion points around the world. The Weather Channel employs over 220 meteorologists who have created thousands of zones across the country in order to deliver more refined accuracy in current weather casting. In November 2013, the company overhauled its eighth-floor operations center to an open floor workspace that resembles Silicon Valley-style workspaces, a reflection of the company’s evolution from television to a multi-platform media brand. TWC upgraded the look and feel of the station – complete with a new brand positioning mantra, “It’s Amazing Out There” – new graphics for a modern look, new “Local on the 8s” local weather delivery, “Weather all the time”, long-form programming, and a new set for the mornings, the most popular time of day for viewership. In November, TWC hired a new vice president of mobile, Nikki Santoto, who will be directly responsible for net-based apps and smartphones and tablets. The merger of Time Warner Cable and Comcast – which owns NBC – has introduced anti-trust and competitive balance issues into The Weather Company’s purview from both a television and an Internet standpoint. If not limited by the FCC or banned by the FTC or Justice Department, the merger will dramatically increase The Weather Company’s market access. The Weather Channel has recently undergone numerous public fights with cable, satellite, and fiber providers that have resulted in substantive changes to the network’s programming, revenue streams, and market share. After losing nearly 20 million DirecTV viewers in January 2014 over failed subscriber fee negotiations (reportedly over just a single cent, which accounts for $2.4 million annually), the two companies came to terms three months later. TWC was reportedly able to secure a fee increase, but only after conceding to DirecTV’s demands that it reduce weekday reality programming, return local instant weather reports, and allow authenticated users to access TWC on the Internet. Importantly, the deal was announced the same day that DirecTV became the exclusive television content provider for Hilton Hotels Worldwide – also owned by Blackstone Group, one of TWC’s private equity owners. 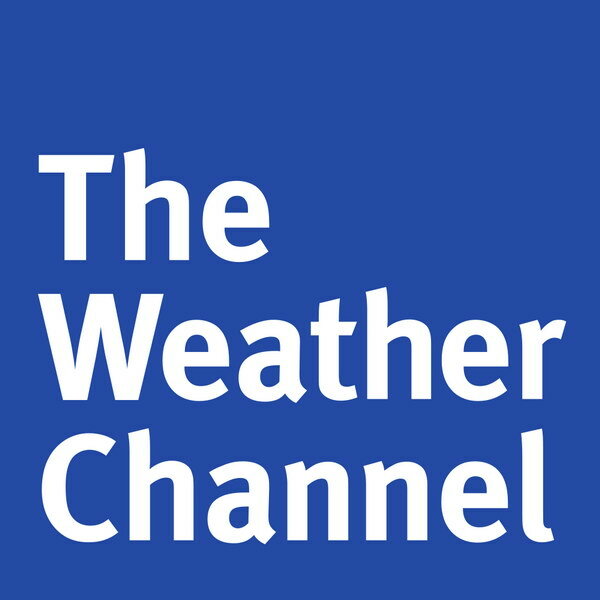 During TWC’s DirecTV hiatus, the satellite company launches its own weather channel, WeatherNation, which it has retained even after renewing its transmissions of TWC. Though TWC may have finally gotten its subscriber fee rate increase, it inadvertently sowed the seeds for a permanent competitor in the process. Conversely, a cable provider owns The Weather Channel and so TWC has a vested interest in the market made more accessible by that provider, Comcast. With the recently announced merger of Time Warner and Comcast, a $45 billion deal, Comcast would see a 30% increase in its cable television market share. Critics of the proposed deal, like Democratic Senator and former employee of NBC Al Franken, argue that allowing the merger would decrease competition and raise prices for consumers. Comcast and Time Warner cable are the first and second leading providers of cable television, and the first and third providers of broadband Internet service in the country. The Weather Company, with major business lines on cable television and in Internet services, could potentially benefit substantially from the merger. Comcast and Time Warner Cable counter that its competitors have actually grown, as Google, Apple, Amazon, and Netflix now offer competing services, and their own business interests have expanded internationally. Furthermore, if the FCC stops pursuing Net Neutrality policy, Comcast will have incentives to offer The Weather Company products to consumers at faster speeds and/or reduced rates over any competitors – both on cable television and on the Internet. The Weather Channel is facing higher levels of competition in its digital businesses, which it is addressing with new applications and marketing strategies. A few months before TWC temporarily lost its DirecTV customers, the upstart app Dark Sky challenged the weather network’s business. TWC realized that it has not defended its territory as well as it could and mobilized to establish new marketing strategies. In March, 2014, TWC and Samsung announced a partnership to place weather streaming on Samsung devices across Europe, coming months after hiring the new Vice President of Mobile, Nikki Santoro. Santoro, a graduate of the Goizueta Business School at Atlanta’s Emory University, also locally serves as a board member for Girls on the Run Atlanta, creating a connection with the local community that could well provide outreach out as a role model for greater female participation in both technology as well as demonstrate female executive-level career opportunities. Under Santoro, the apps in development include Forecast on Demand, which pulls up instantaneous weather forecasting, and OutSider, a “biometeorological” app that allows runners to track and compare how their running is affected by weather. Combined with TWC’s new branding, the company’s focus is no longer centered on technology, but rather the networks are refocused on connecting with younger audiences. The company gave careful consideration to the artistic nature of logos and icons in developing and branding a newer image. TWC is now poised to launch into new markets to win over the consumer and diversify the base of customers. TWC will extend the brand reach even further by rolling out short three to seven minute internet based films that will feature short documentaries that detail environmental and human interest issues. The first issue, “Brink”, features ecologists who are fighting to save species and habitats that are on the verge of extinction. This new feature of weather brings weather reporting closer to interactivity and creates a newer, greener media concept that stands to position the brand in a progressive new light. The new look and feel of the station offers a more personal approach, such as a screen-in-screen will allow viewers to follow an embedded broadcast on their TV that keeps up-to-the minute details of their local area. The revamped “Weather at Eight” branding and programming, which provides updated weather at each eighth minute in ten, is designed to distinguish itself from upstart competition with the production quality, media market share, and funding that only a media industry powerhouse can offer. By splitting geographical areas into four thousand slices, its weather predictions are becoming more specific; the Company hopes this will no longer distance its more rural viewers. Those who live three hours outside of Chicago that in now-outdated models might have received news that came nowhere near their local communities’ interests, will be able to see their own local forecast, bringing an increased relevance to a greater number of audiences and communities. The Weather Channel’s extension into global markets primarily through its digital products will draw on the Atlanta region’s ability to supply, cultivate, and sustain multilingual labor and human exposure. The Weather Company’s mobile apps target world-wide audiences, driving the company to make use of multiple language bases for its mobile platform development. Courtney Ehrler, a member of the Corporate Communication Team at The Weather Channel, explained that the Company’s products and services span the globe and that their global team is expanding. With support for dozens of languages, iPhone and Android devices have afforded The Weather Company with digital global market outreach opportunities, creating an access point that supports the Humanities. However, as funding for Humanities lessens, and unilateralism in political prisms contest the value of world languages in the core curriculum in Georgia, this local Atlanta company may face challenges sourcing labor from within Atlanta For future market competitiveness, local Georgia college students who have second language skills have assets beyond the mono-lingual fare well in this job market. However, Atlanta-based higher education institutions do currently offer institutional support for multilingual labor. Georgia State University, for instance, offers multiple languages that would fulfill requirements, regardless of major, and support the employability of multilingual graduates. By developing partnership transfer grants, currently underway with the Critical Language Program of Georgia Perimeter College, access opens to support the Complete College Georgia initiative to produce a highly-educated, multilingual workforce. Furthermore, with Atlanta being a major hub for refugee intake, this flow of human power through the two-year to four-year model supports the global interests like those of The Weather Channel, but more importantly inculcates societal inclusion of diversity at the local level. By providing motivation for displaced nationals to pursue education and employment, the overall quality of the local economy benefits the city of Atlanta and beyond. Continental and global languages are widely available in higher education – French, Spanish, and increasingly Chinese – but refugee populations are capable of providing less-common languages that represent far-reaching, less-developed locations. The local ethnic diversity can provide new market openings for companies seeking a global footprint. Recognizing that translation programs may offer linguistic services but exclude cultural awareness, these human populations in proximity to and in contact with the company create potential for market advances in access to life-saving weather notifications, via television or mobile platforms. Unlike competing, upstart weather applications, the resources of The Weather Channel position the company to positively contribute to the local economy while at the same time, expanding their successful global business model. Ehrler, Courtney. Email communication. 7 Mar. 2014. Company Profile Contributor: Colleen Ijuin, Georgia State University, 2014.